100 pcs. 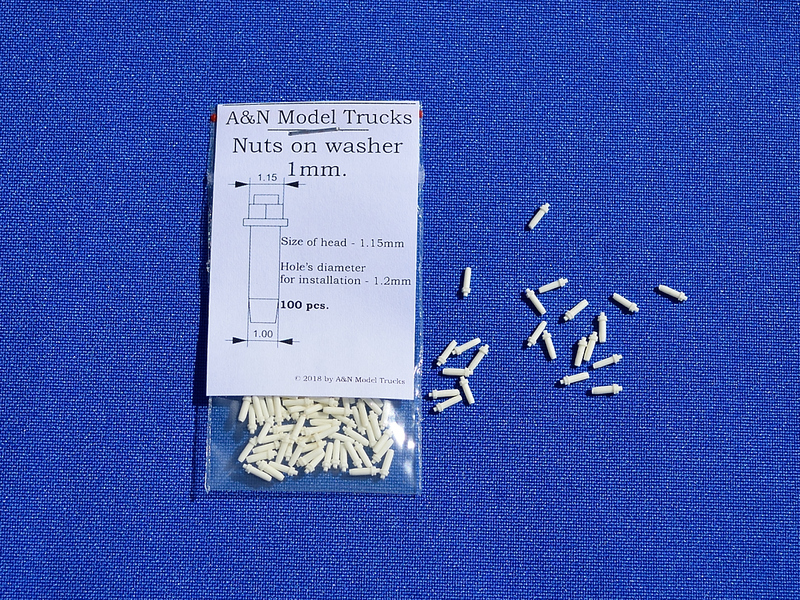 of resin nuts on washer. Diameter of head – 1.15 mm. Hole diameter for installation – 1.2 mm. Master patterns and casting by SIA “A&N Model Trucks” © 2018. 07 Sty New Aussie truck in stock!